Just like any other social media platform, YouTube sometimes becomes the lawless land. Since anyone can create their own YouTube channel and start uploading their videos, there is always a possibility of finding something offensive or racist on YouTube. Although YouTube has a very good moderation policy as well as a vibrnt community policing the content 24 hrs but considering the fact that there are 1.9 billion actives users with approx 300 videos uploading per minute, its not always easy to monitor the content. Then came the “freedom of speech” factor where something that you may find offensive is perfectly OK for other users. This is very common and create lots of issues for YouTube itself. Since YouTube is undoubtedly one of the most used streaming video platforms by users around the world, every day, there are millions of videos uploaded by millions of users and this means that many of these contents are not liked by all users. However, the good news is you can block content, users and channels on YouTube that you don’t like. 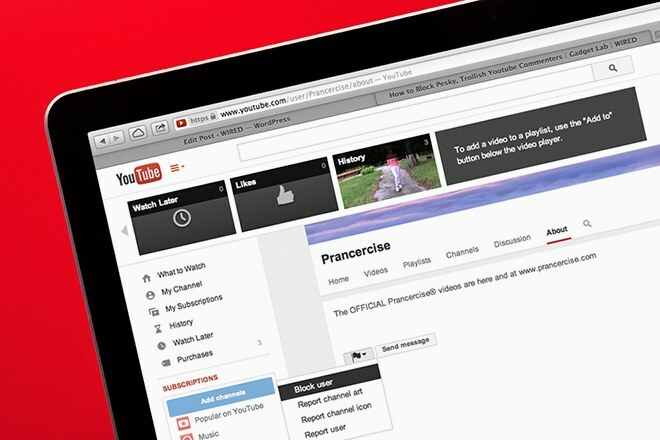 This way you can customize your YouTube experience exactly the way you want. As we mentioned YouTube already has a moderation program to try to eliminate all inappropriate content, but with the ability to block channels you can apply your own filter to what you see eliminating those that you consider offensive or that you just do not want to continue appearing in your suggestions. Once you have blocked someone on YouTube by blocking a channel or a user, you cannot see their videos and Of course, you also cannot leave comments on their videos. Following are some methods and guide on how to block someone on YouTube. If you want the content to stop appearing from any YouTube channel, what you have to do is block it in the settings of our account. For this, the first thing you have to do is open YouTube in a browser window and log in with your Google account . Next, you can go to the recommended section and see if any video of the channel you want to block appears or wait for it to appear as suggested content when viewing a video. Now the first thing you have to do is go to the profile of the channel you want to block. You can go to profile page of channel by clicking on the name of the channel and that is the owner of the video. This will take us to the page of the channel in question, which will be from where we will be able to block a YouTube channel. Once you are there, click on the tab that says “More information”. Its on the top right corner of profile page. When you are in the window with the description of the channel, click on the icon of the flag to open the options for reporting content. Check the following image. When you click on that flag, a menu will appear where you can find the options such as block user, Report channel header, Report channel icon and Report user. To block that YouTube channel simply select the first option, Block user. Now this channel’s content will never appear again among the recommended videos when you are viewing content on YouTube. When you start a channel on YouTube and upload some videos, it’s normal to expect feedback on the videos you’ve uploaded. The problem, however, is sometimes they are not exactly constructive. If someone specific starts to be poisonous and completely unpleasant, you always have the chance to block the user in question. Following is the method to block someone on YouTube so that he cannot comment on your videos or send you private messages. Go to the profile of the individual in question by clicking on his username. once you are there, simply go to “About” section of the profile. You will find a “flag icon” there. Click that icon and select “Block User”. Now that user cannot comment on your videos.